I have been so fortunate to have won alot of awesome quilting tools and supplies this past year. I would like to give back by having a giveaway to start off the new year. 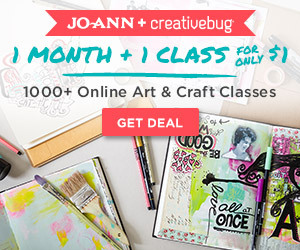 If you are into hexagons or just wanting to start without all the cutting, this ones for you. 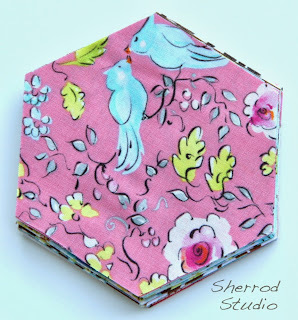 I've got a charm pack of Lark by Amy Butler and a charm pack of London by Dena Designs that I've cut up into these lovely hexagons. There are a total of 30 hexagons measuring 5"W x 4 3/8" H with 2 1/2" sides. All you have to do to win one of these hexie packs is leave a comment telling me which hexie charm pack you would like to win. The entries will close at 10 pm Friday Jan. 6th and the winner announced shortly after. Make sure there is a way for me to contact you if you win. 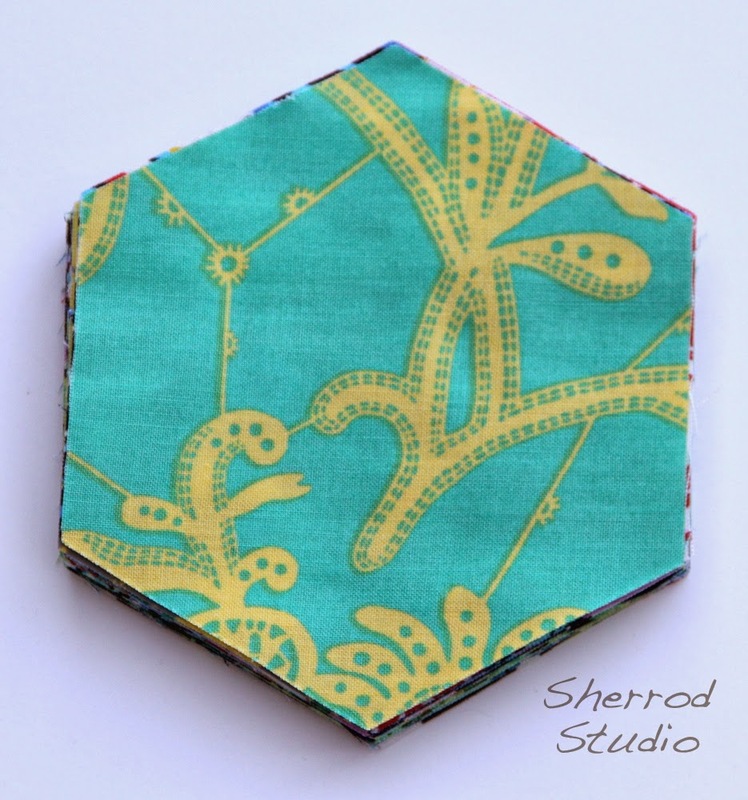 If you would like to get your hands on one of these lovely hexagon packs, I have them listed in my shop. Oh wow thankyou for the chance to win such an awesome prize. I wouldn't mind which pack I won I would be happy to win either. Id love to win 'London by Dena Designs' but either designs is gorgeous. 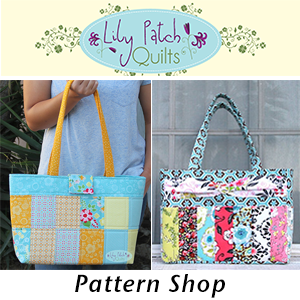 I would like to win so I can pass it forward to my pal who wants to get started on patchwork. Love London! I have always wanted to start hexies, but have been intimidated with all the cutting. Thanks for a chance. my daughter mentioned how she loves Lark, so I would choose that first. both are lovely. thanks for the great giveaway! I love both of them. I may be leaning a little more towards London because of that adorable bird pictured. Sweet giveaway!! I have been interested in hexies so already cut ones would be awesome!! If I win, surprise me with the bundle! I have always wanted to try hexies but have been too afraid to cut them. The London pack is gorgeous! The London pack is my favorite. What a fun giveaway. I have never made a project with hexies but I want to. I love both sets so I would be happy to win either one. My first choice would be London by Dena DEsigns. What a thoughtful giveaway! I would choose London~ love the birds! :-) And I really like the idea of having the hex's already cut! :-) Thanks for the chance! I love both, but my favorite is the Lark! Thanks for the chance! 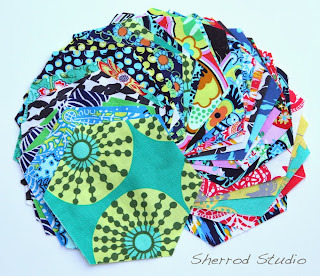 I like both patterns but if I had to choose I would choose Lark. I've been wanting to try hexies for a while!! It's a hard choice to make but I choose Lark. I've been wanting to try working with hexies. Thanks for the giveaway. Love them both but if I had to choose one it would be Lark. Thanks for a chance. Both lovely but I will choose London. Happy New Year. 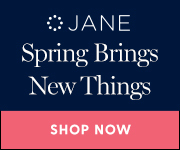 If I had to choose, I guess I would go with Lark, but they are both fantastic collections! Thanks for the great giveaway! I love them both! If I'm lucky enough to win can you choose for me?? Both are beautiful. I'd prefer lark. Thanks for the chance to win. Ooo! I really like the Lark! 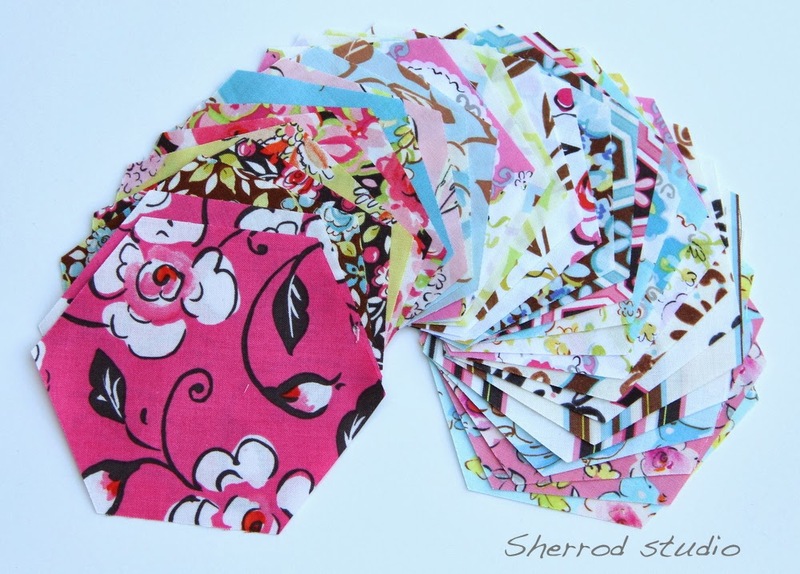 love these hexies! If I win could you please pick for me? They are both so beautiful I can't decide. Oh my goodness, Lark is one of my favorite collections. If I were to win (crosses fingers) I would love to win Lark by Amy Butler. I'm an Amy Butler fan so I would love to win the Lark pack. I haven't worked with hexagons yet, but it is at the top of my list! Thanks for the opportunity. I like both but Lark the best! 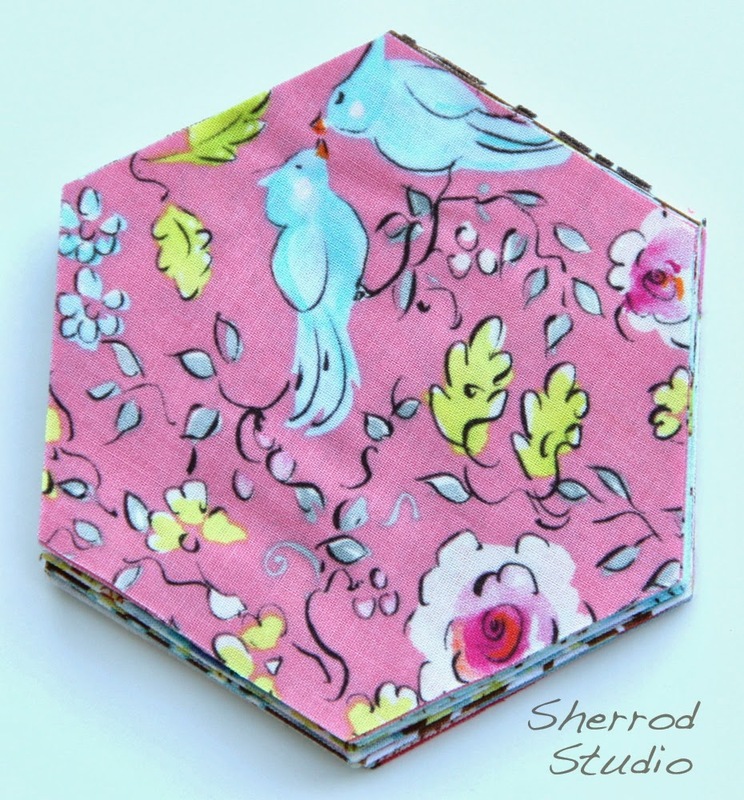 I love the Lark hexies! They are both great but I would rather have Lark. How nice of you to do all the cutting. I've been basting a quilt but I had to quit for a while, my finger is too sore to pin another pin! Thanks for the giveaway. 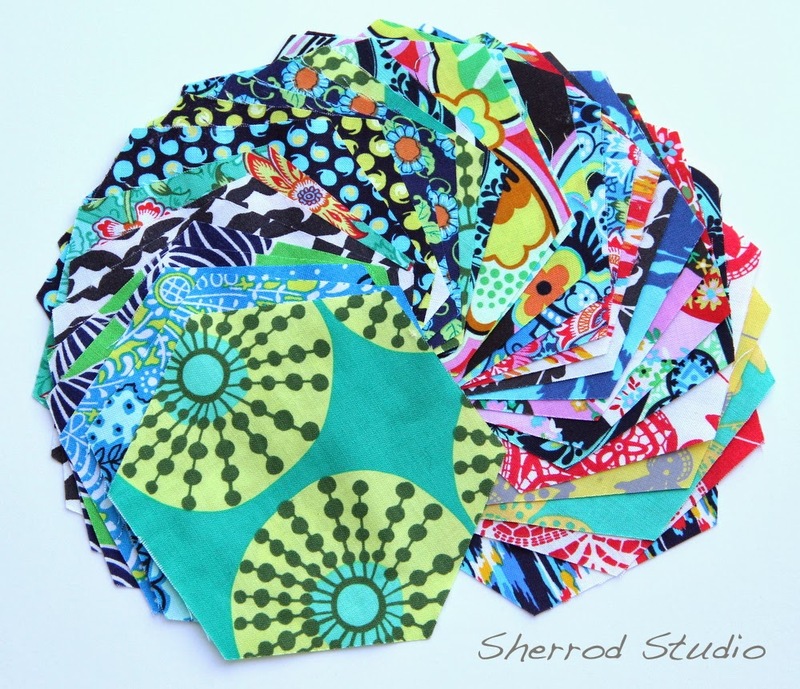 I love the London pack :) What great fabrics to play with while the winter sets in grays and dismal colors. I'll use it as "color therapy". 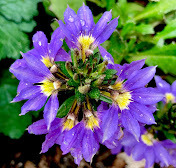 I guess I'm jumping the gun at wanting Spring to be here next week :) Thank you for the giveaway and have a wonderful new year! How wonderful! I have been wanting to try hexies. I love the London fabric. Thank you for the chance to win these!